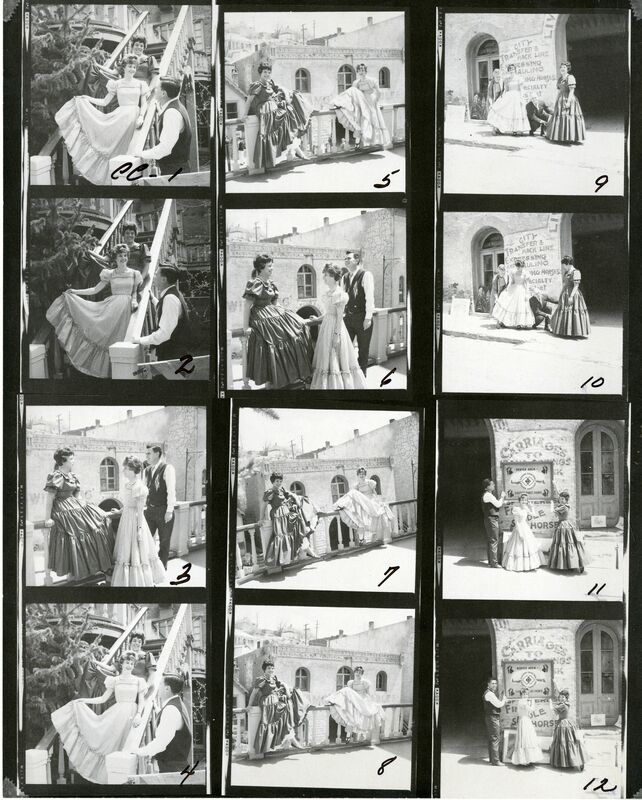 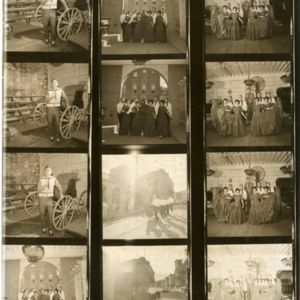 This collection of photos documents the young dancers who performed in the summers in Central City, Colorado. 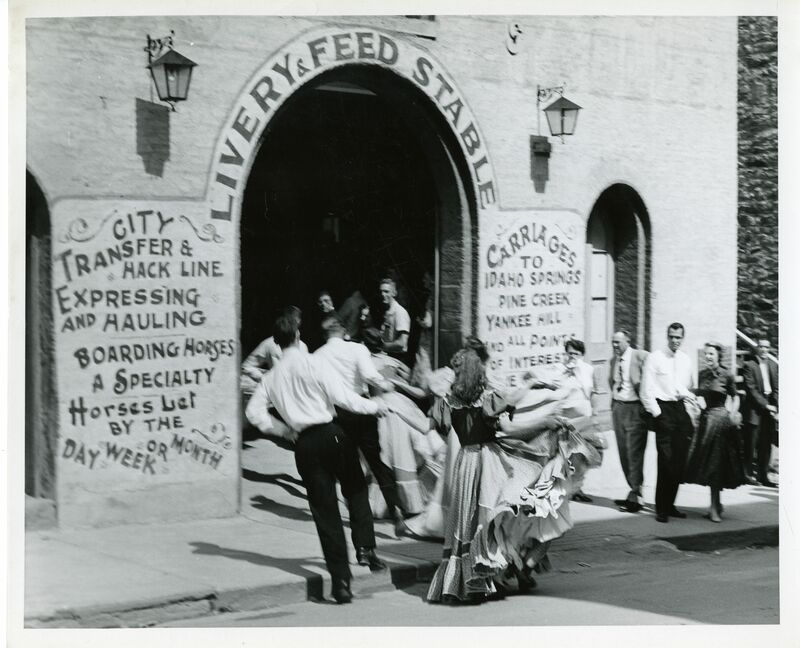 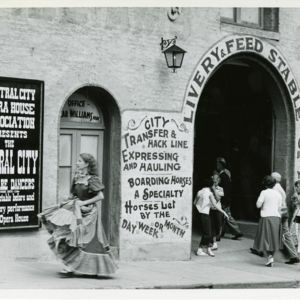 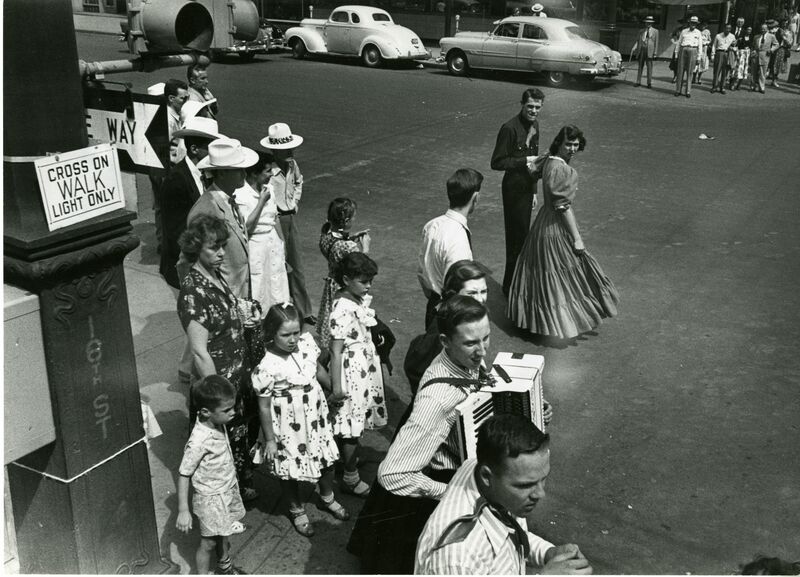 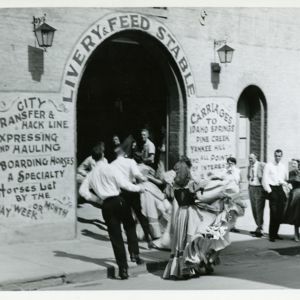 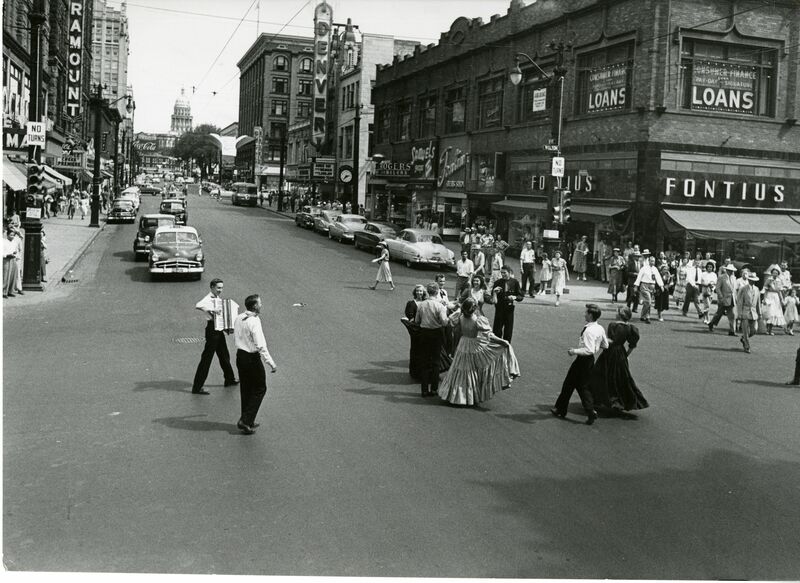 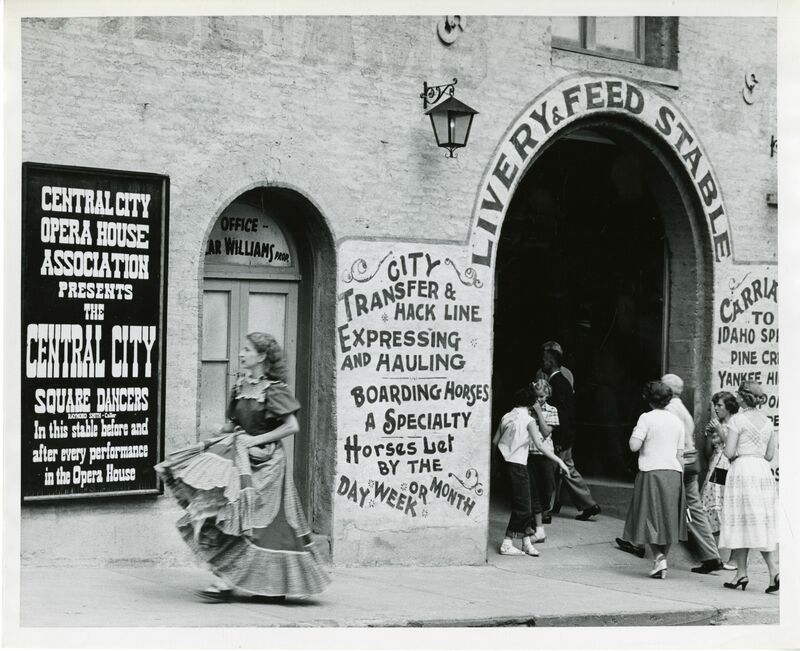 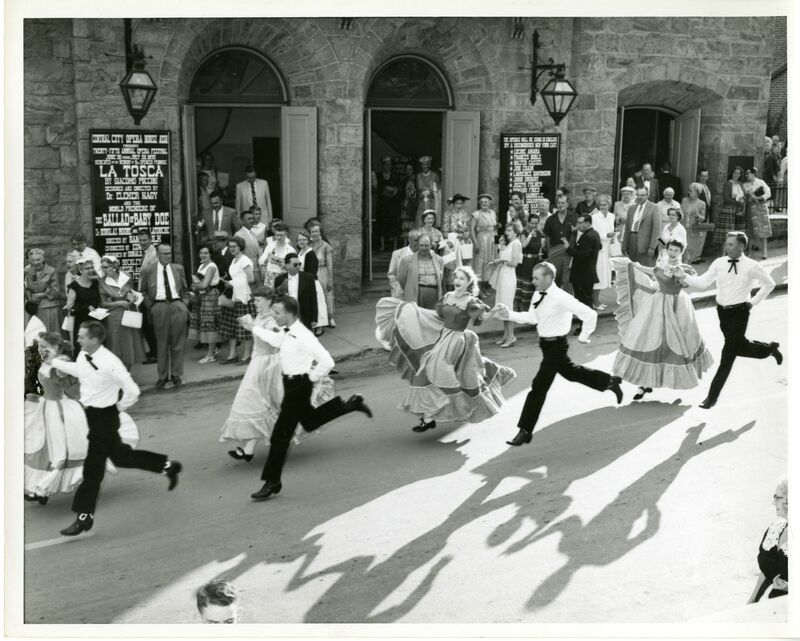 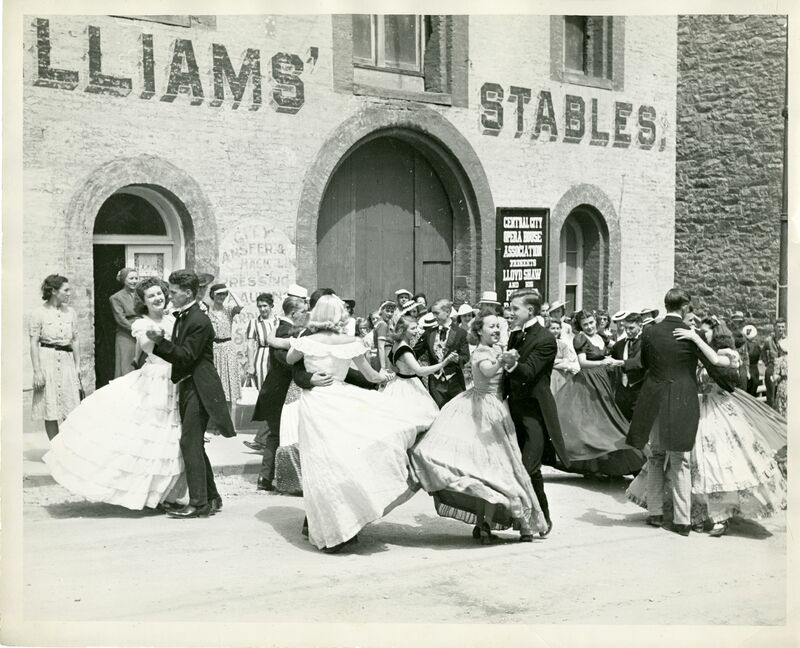 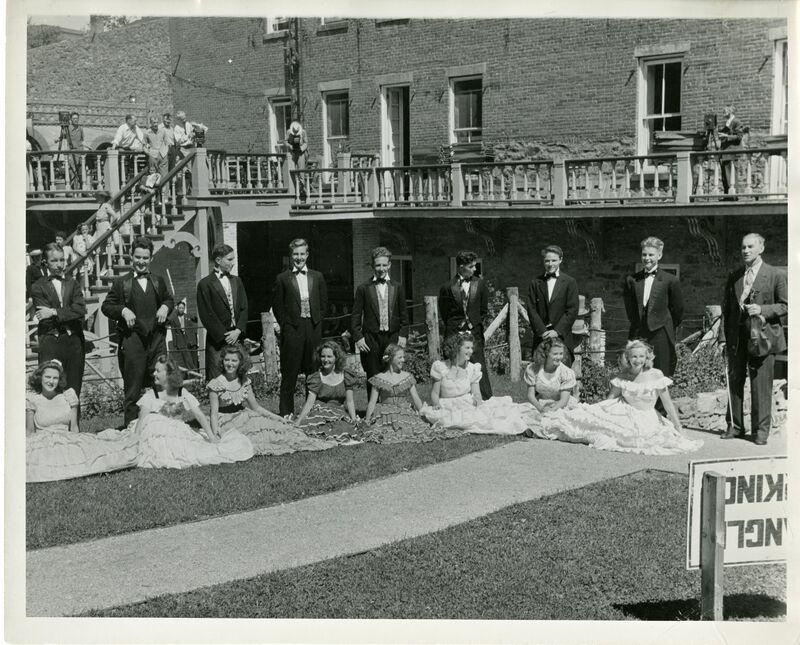 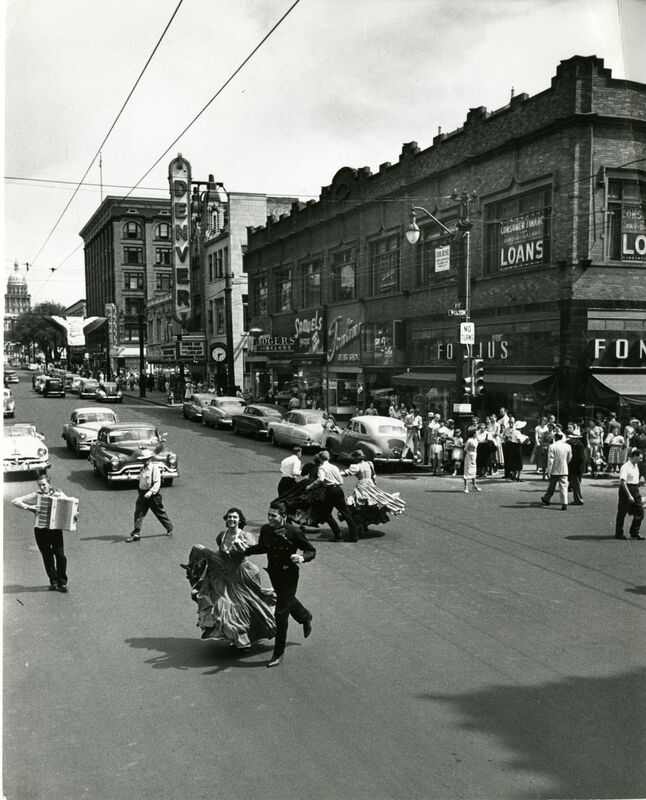 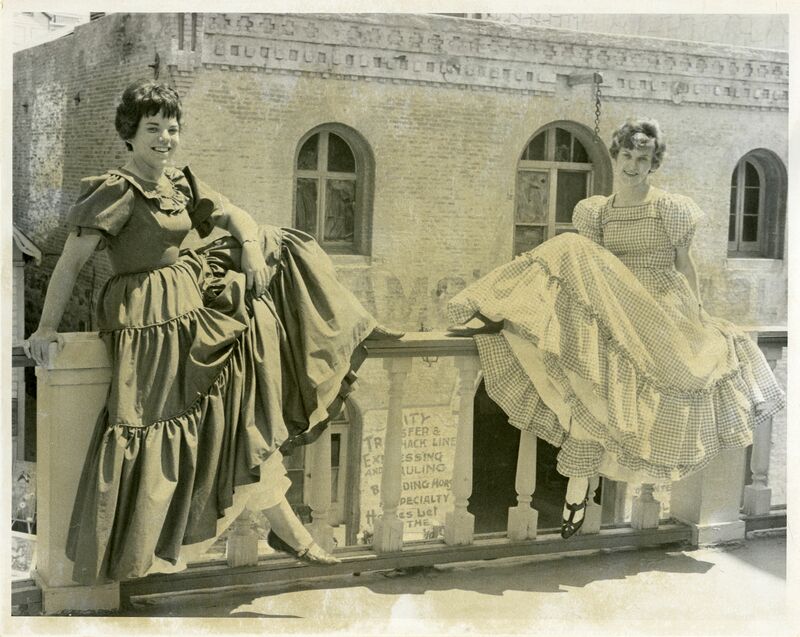 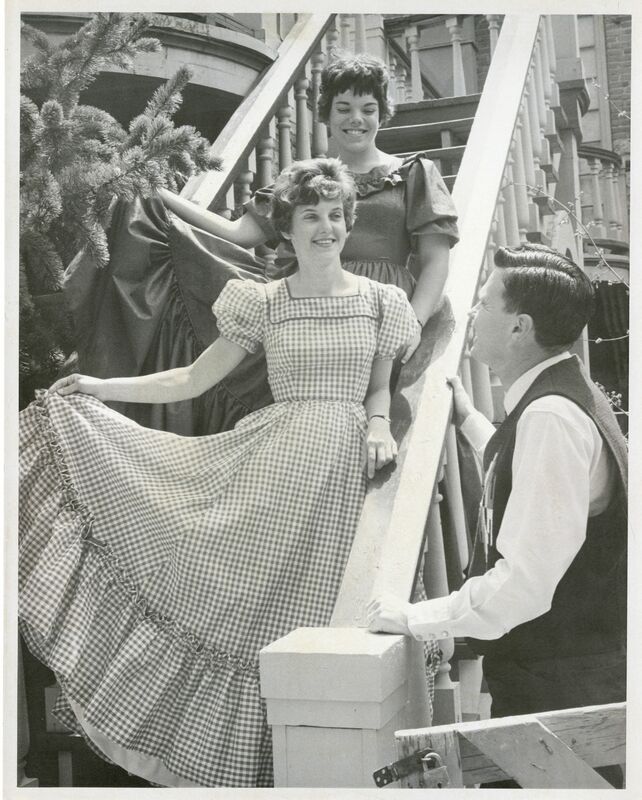 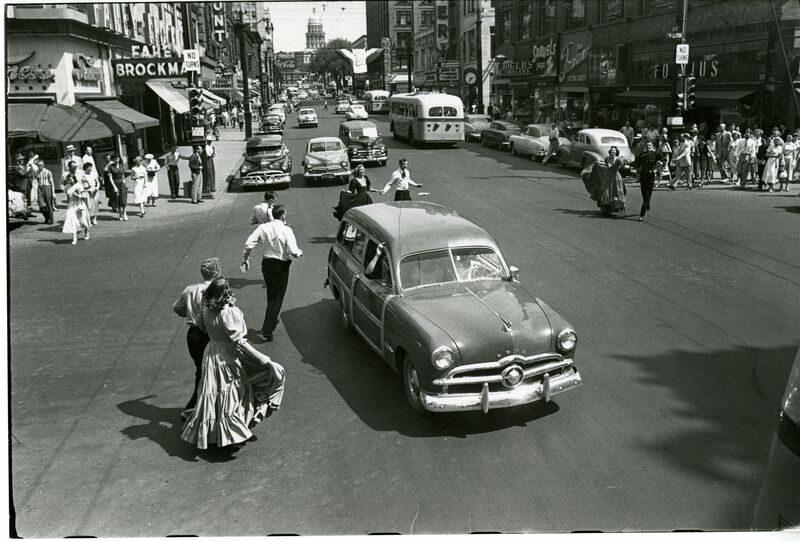 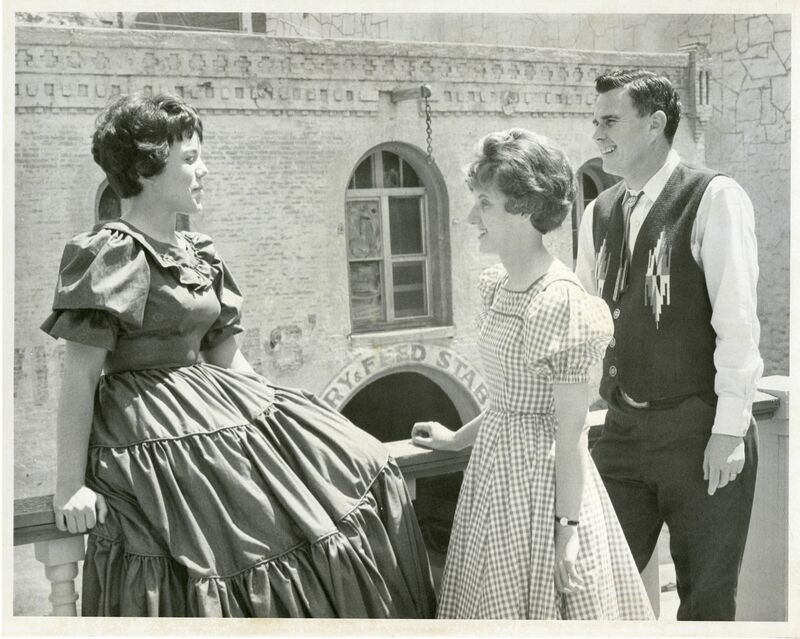 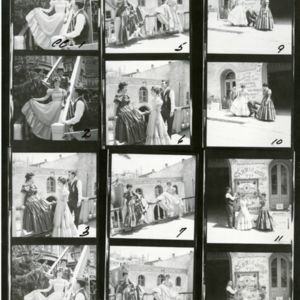 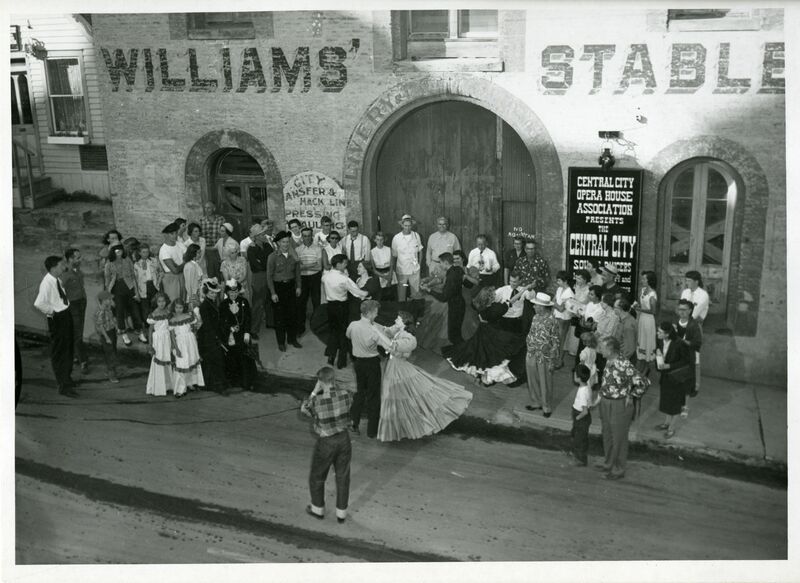 As opera-goers left the theatre, the dancers would swoop down the main street and bring along spectators for a performance in the Williams Stables down the street. 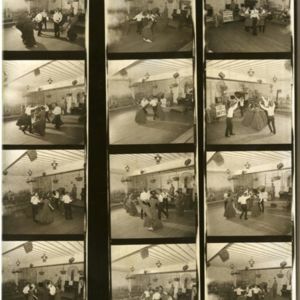 The first Related Item is silent movie footage of those performances, taken by a young man who had been a member of the performing troupe in prior summers. 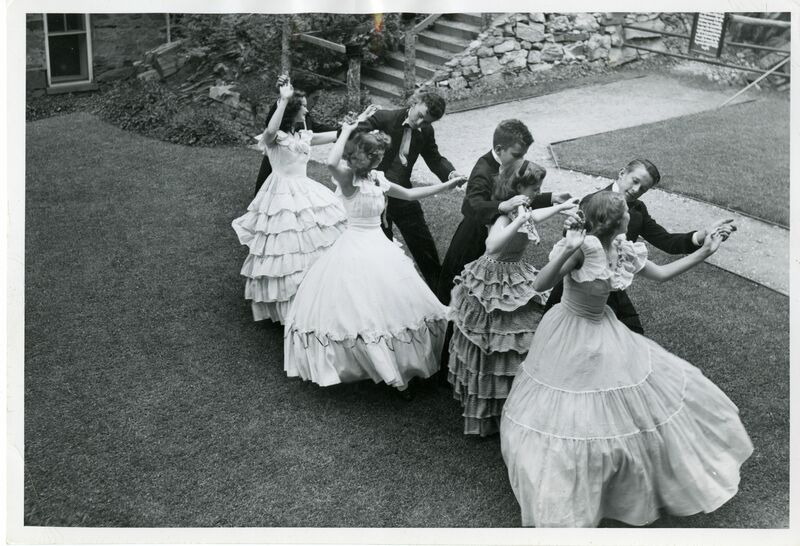 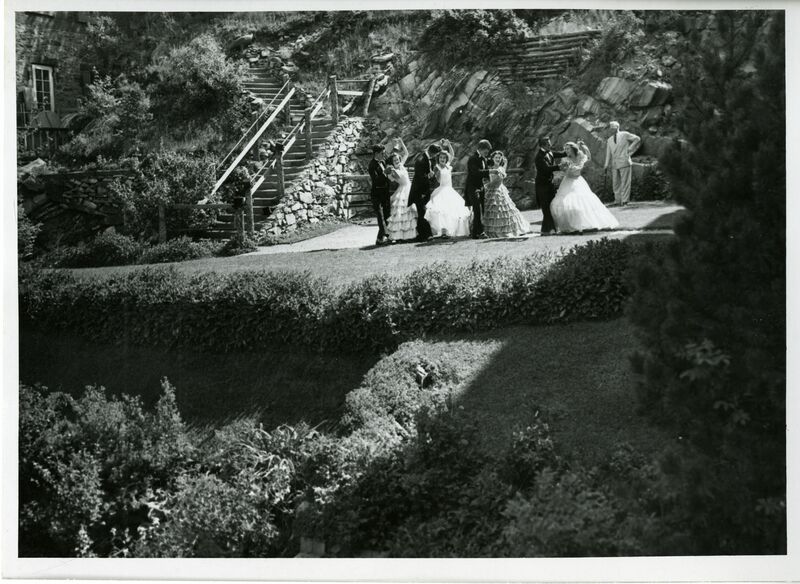 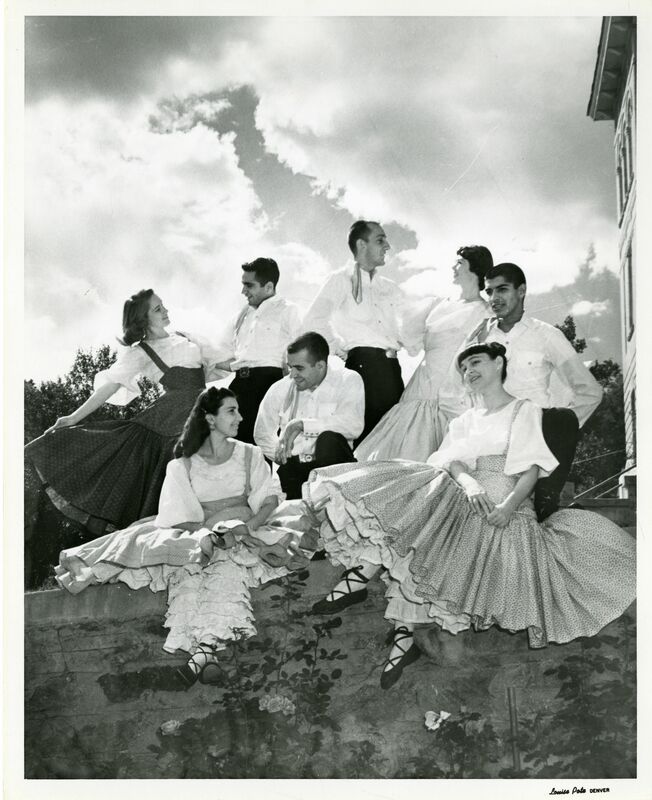 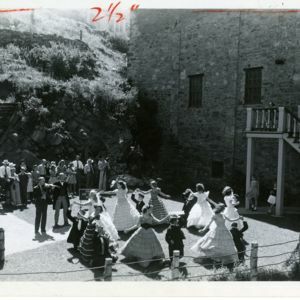 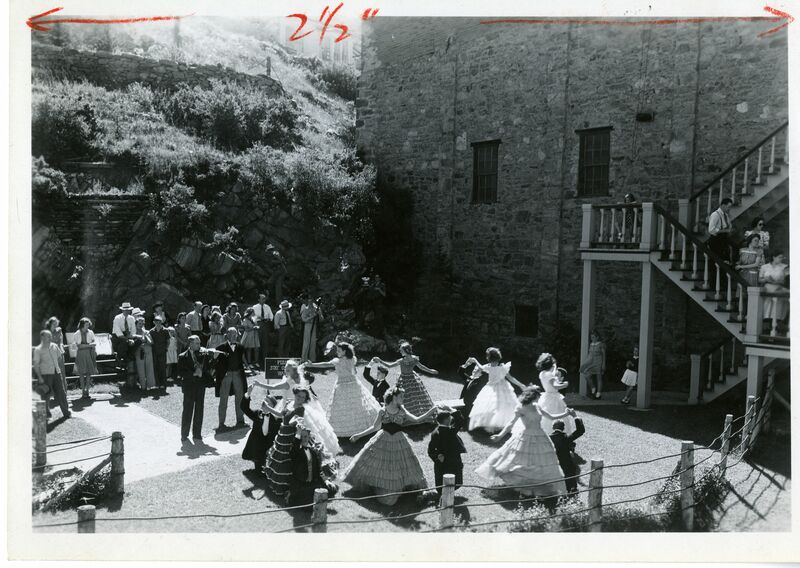 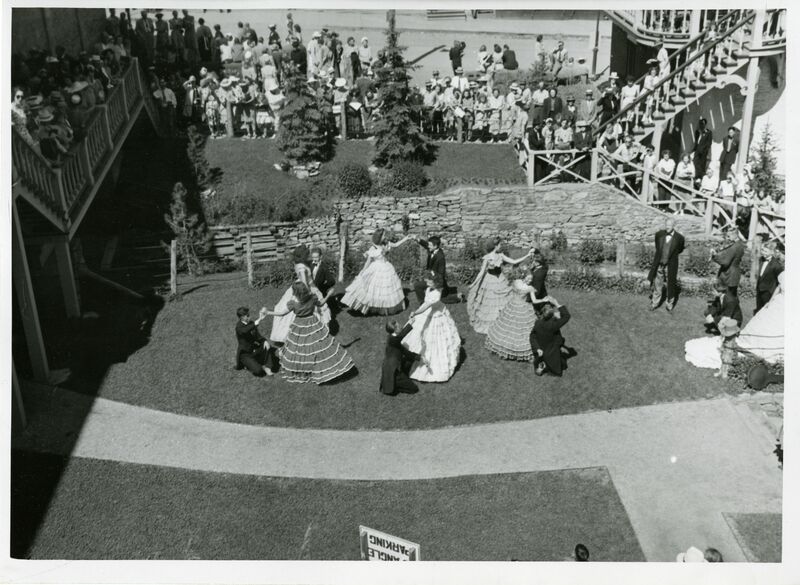 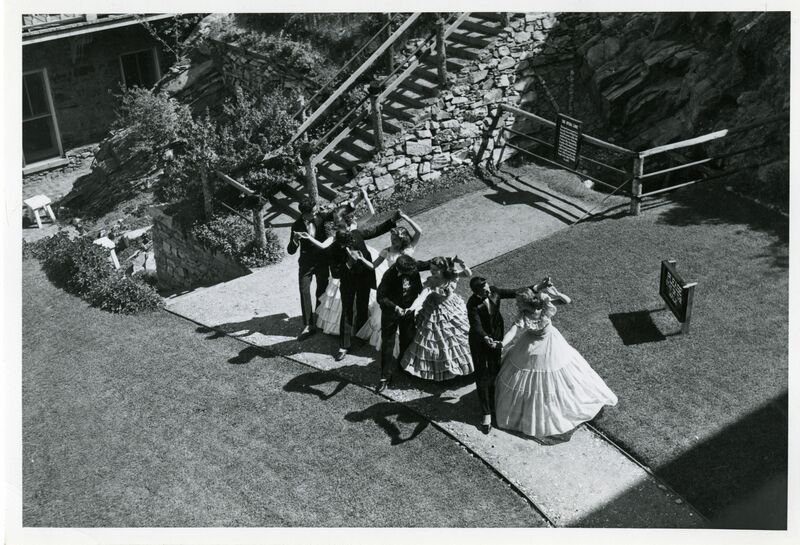 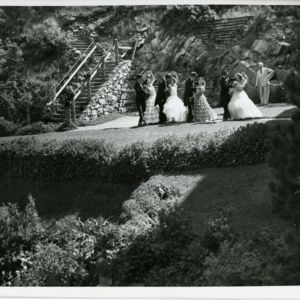 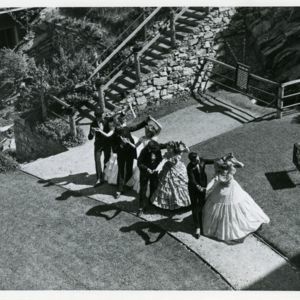 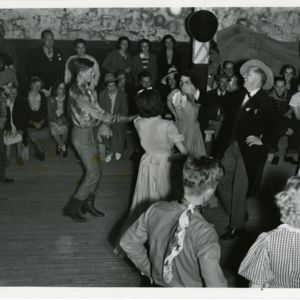 The dancers came from Colorado college square dance clubs, deeply influenced by Lloyd Shaw, so these photos document some of the repertoire and styling that Shaw included in the programs of his Cheyenne Mountain Dancers. 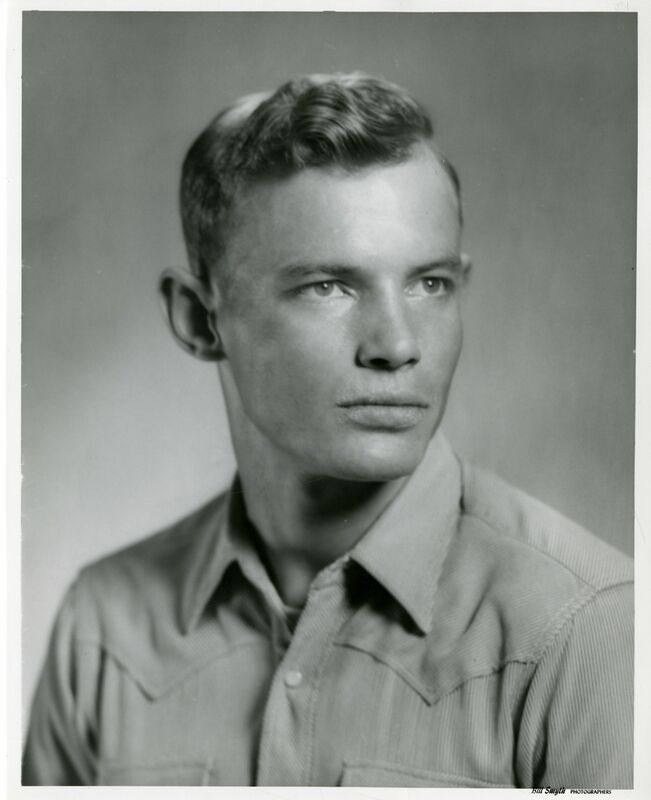 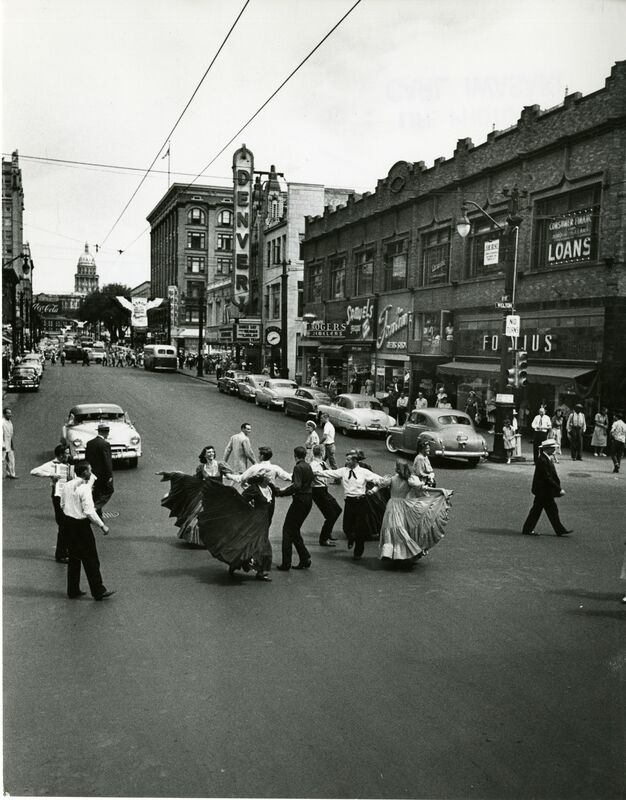 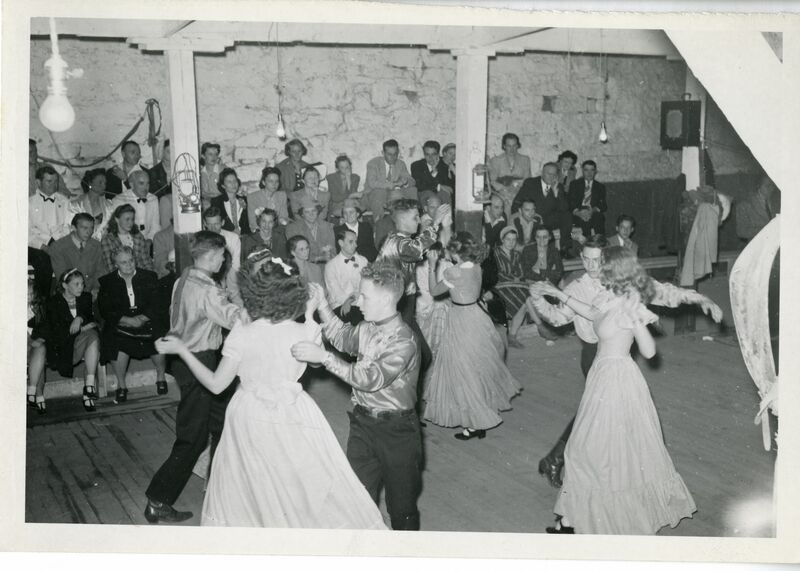 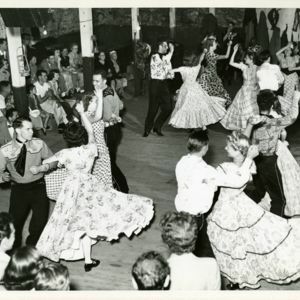 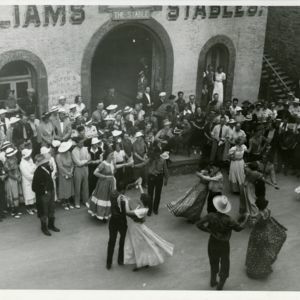 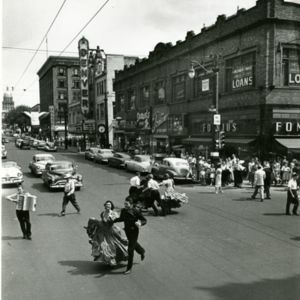 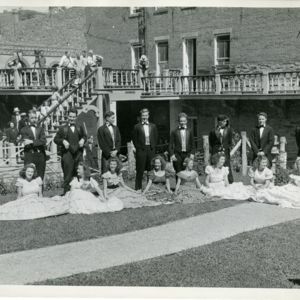 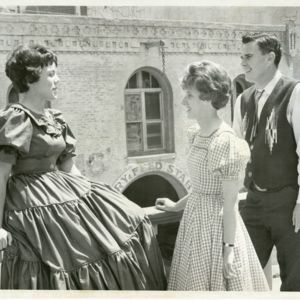 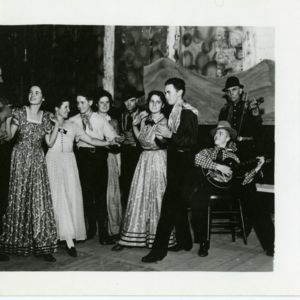 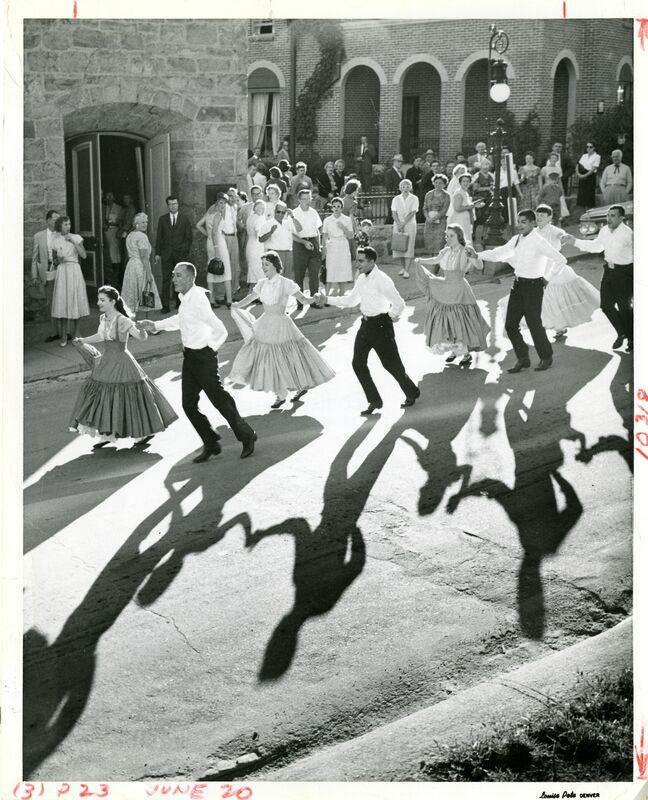 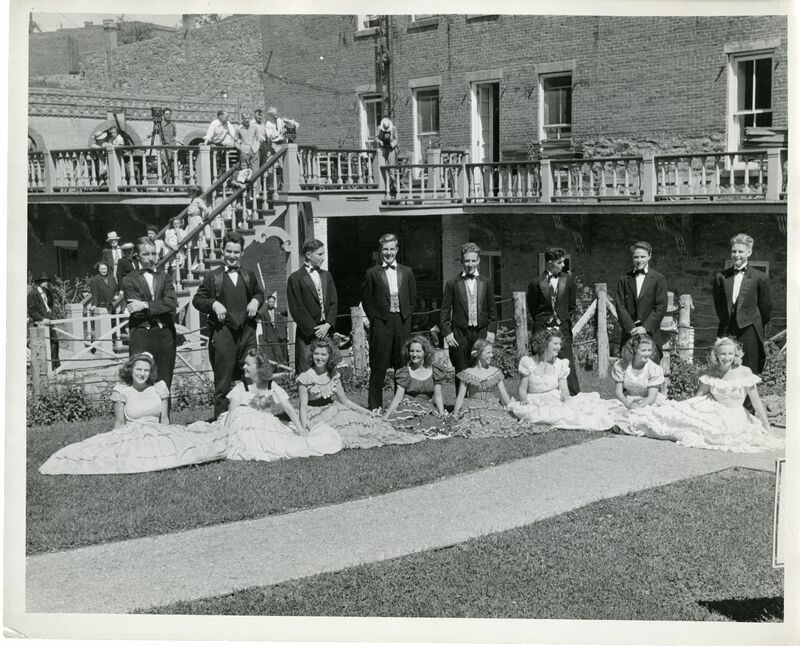 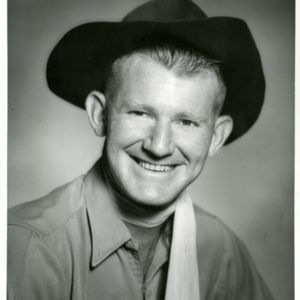 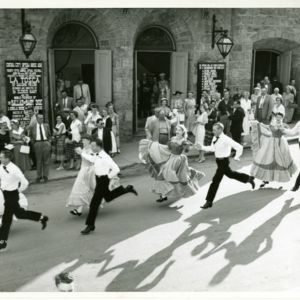 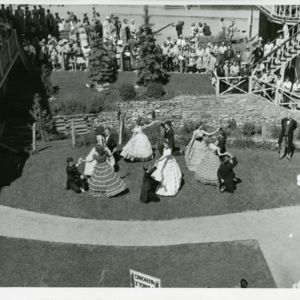 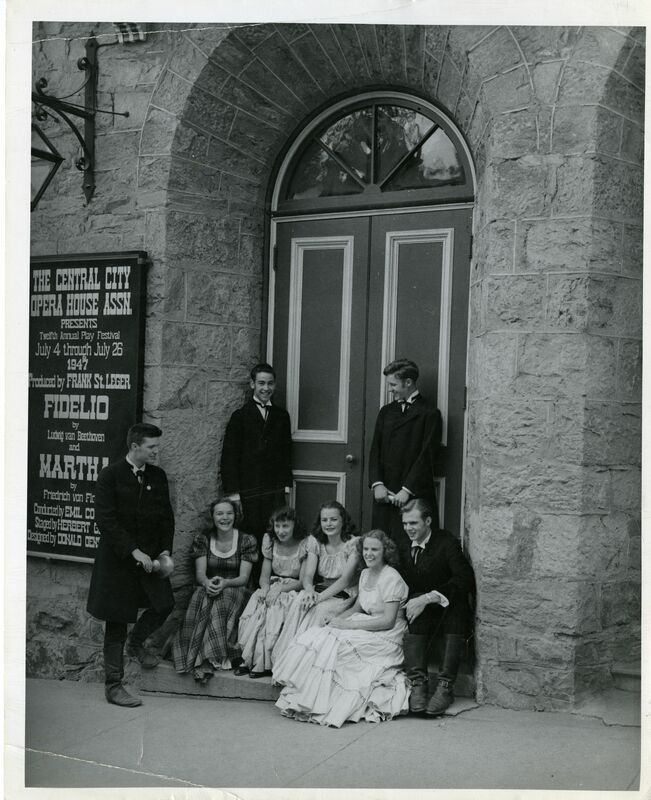 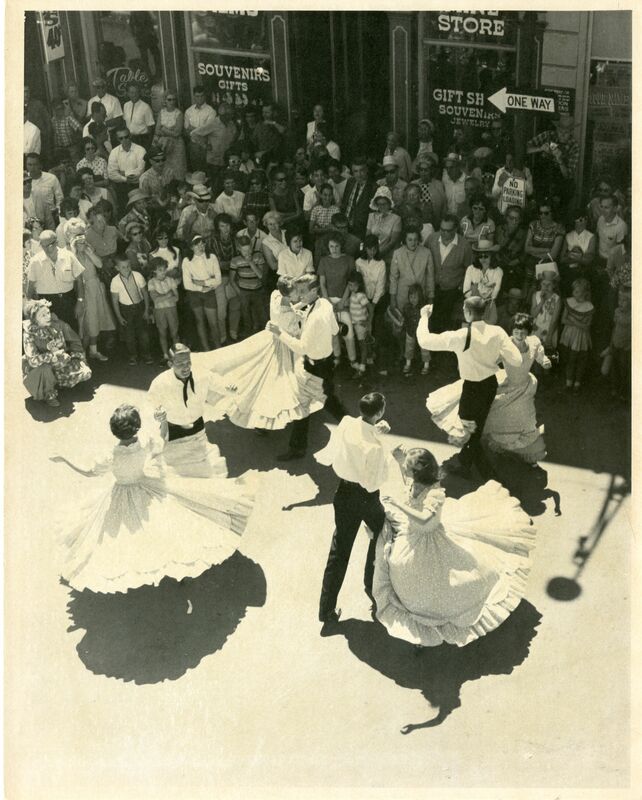 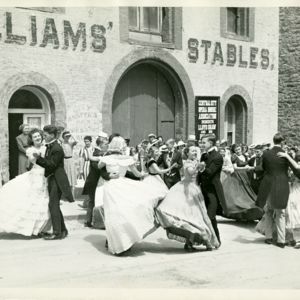 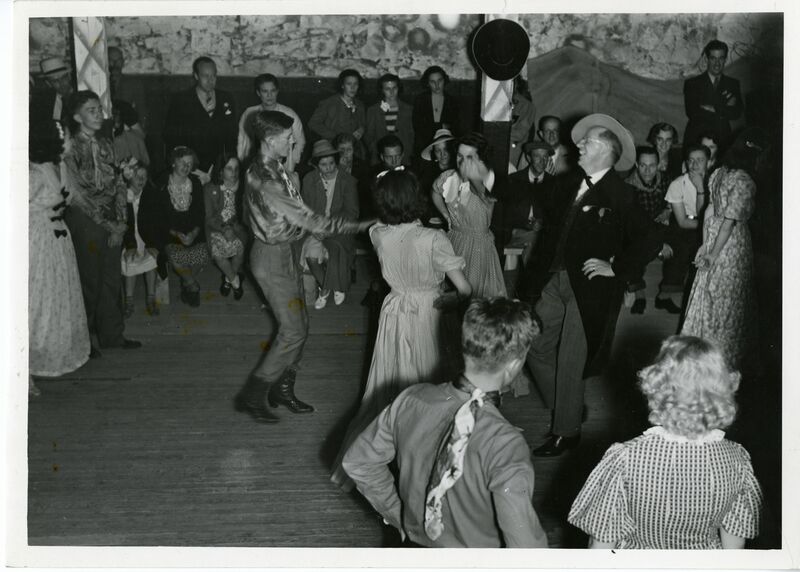 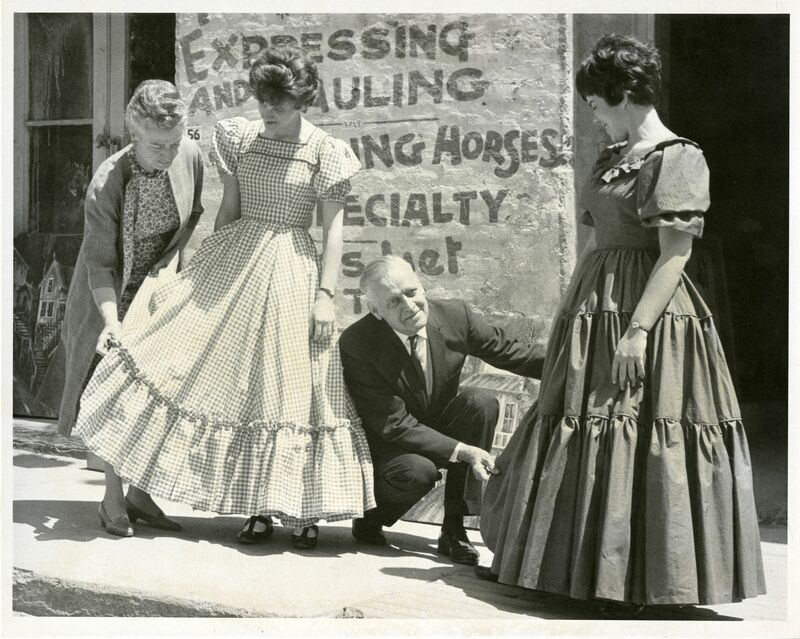 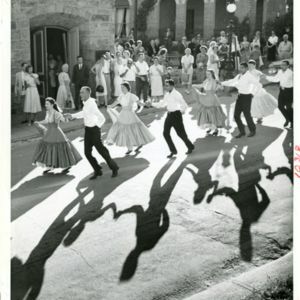 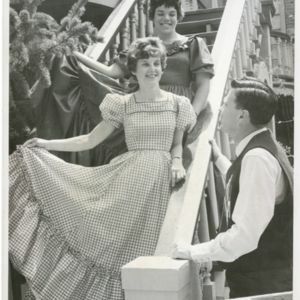 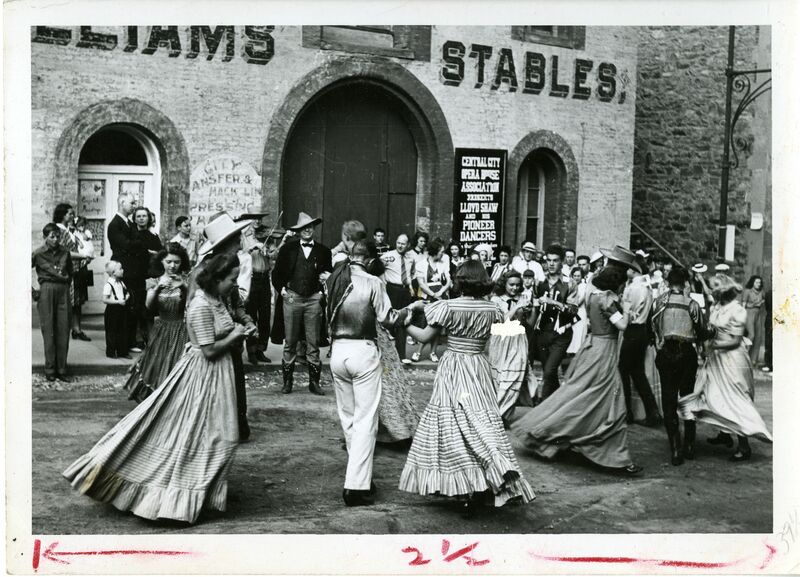 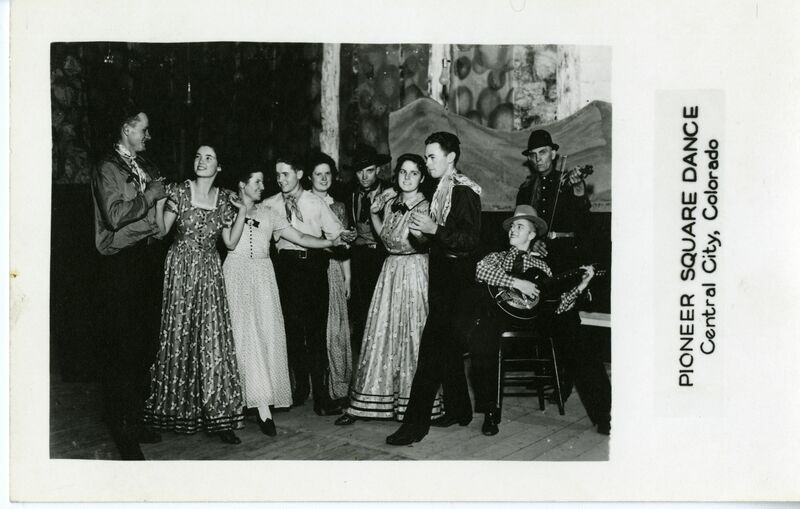 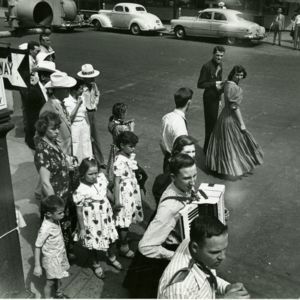 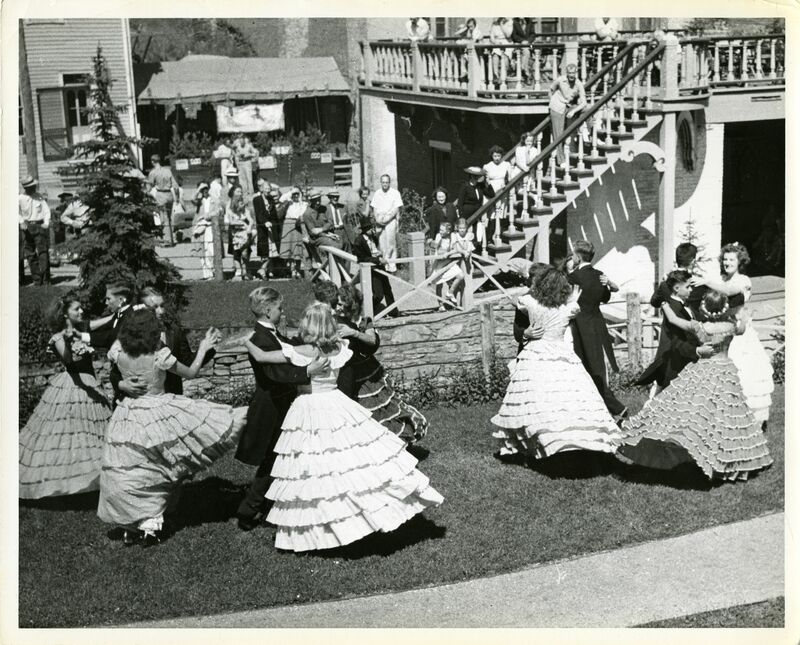 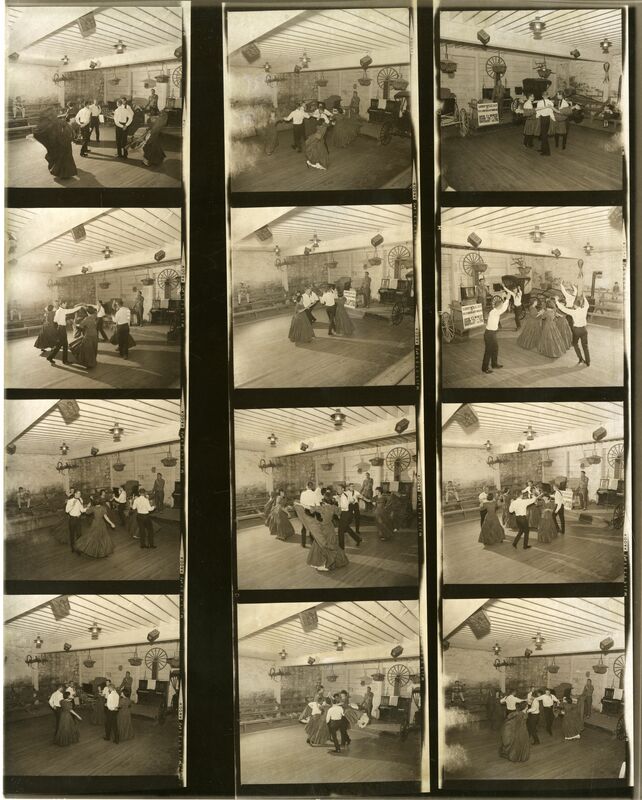 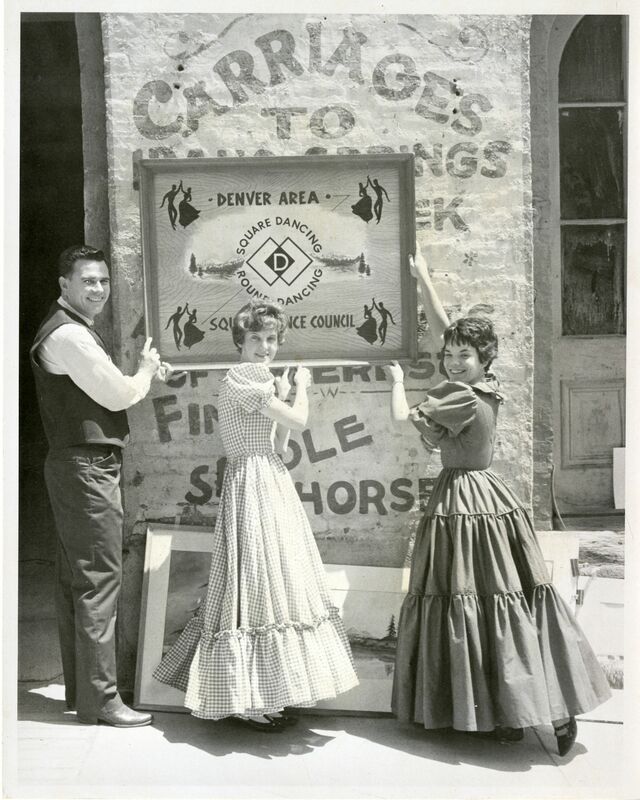 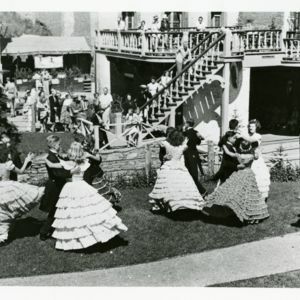 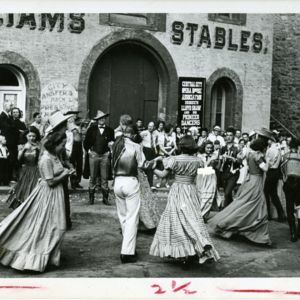 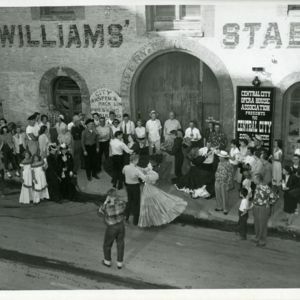 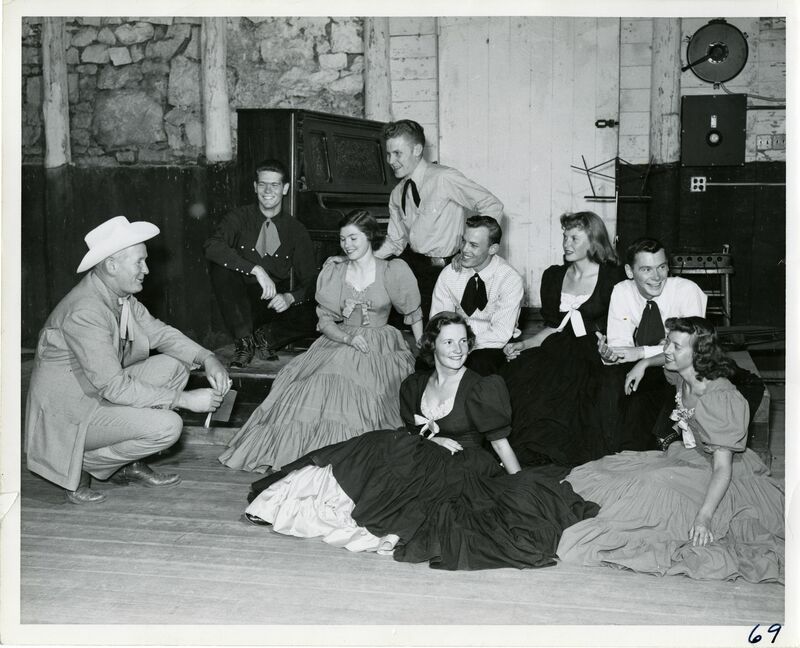 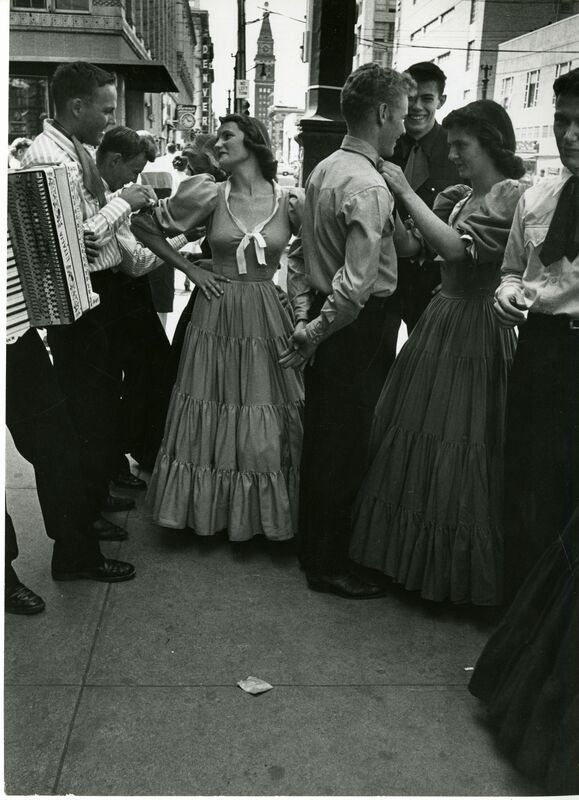 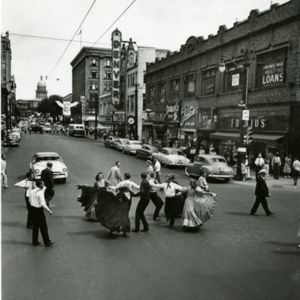 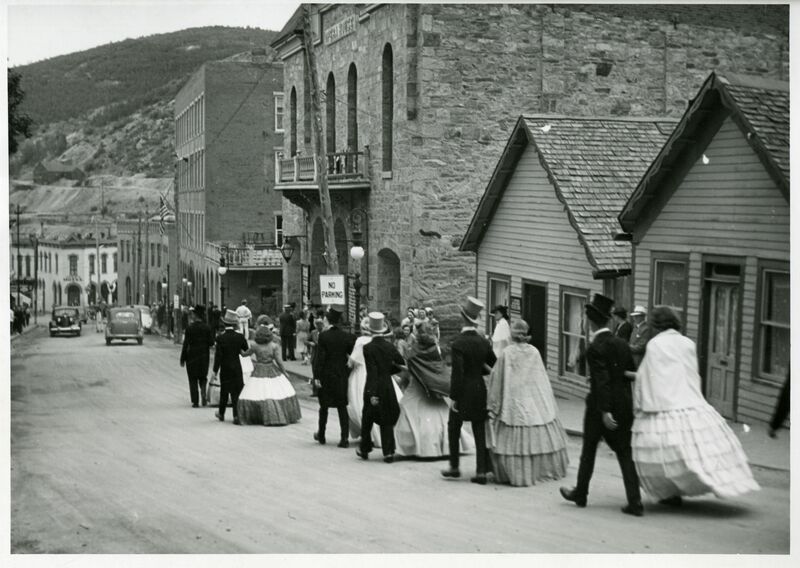 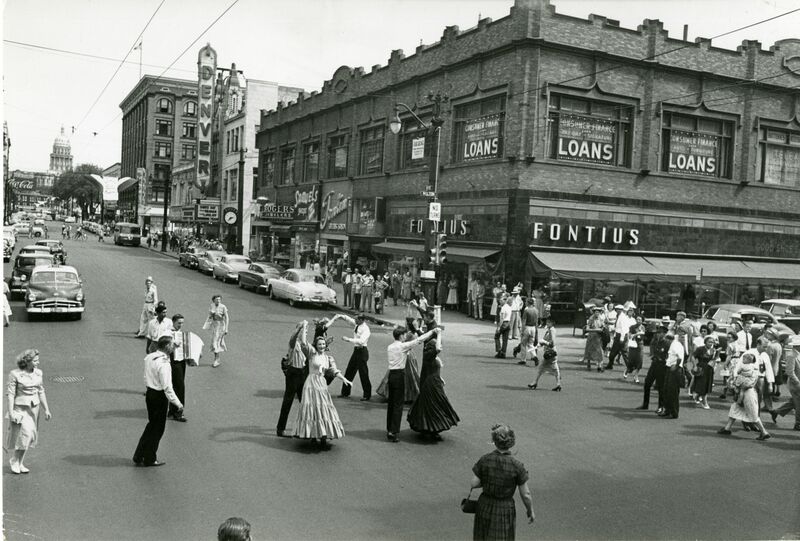 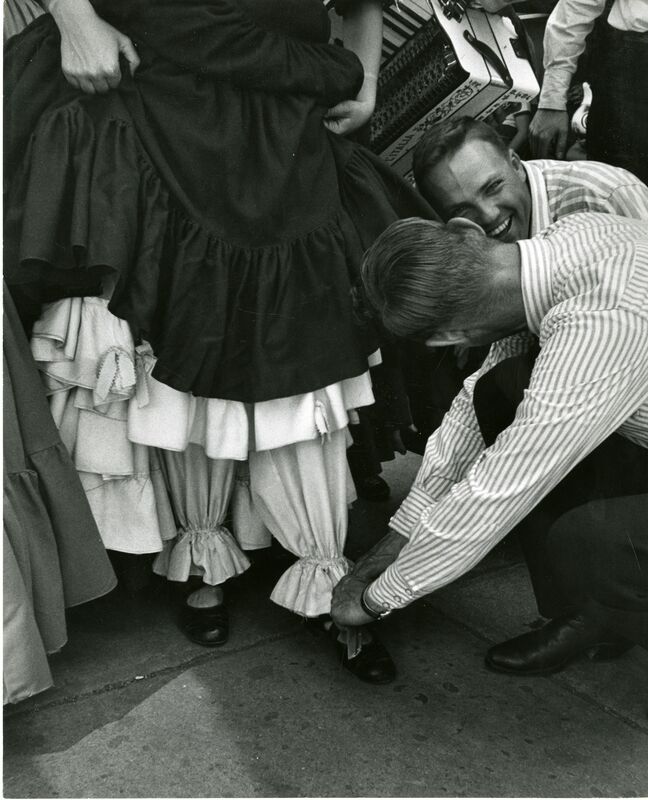 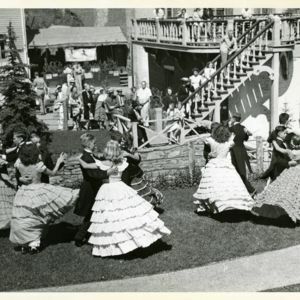 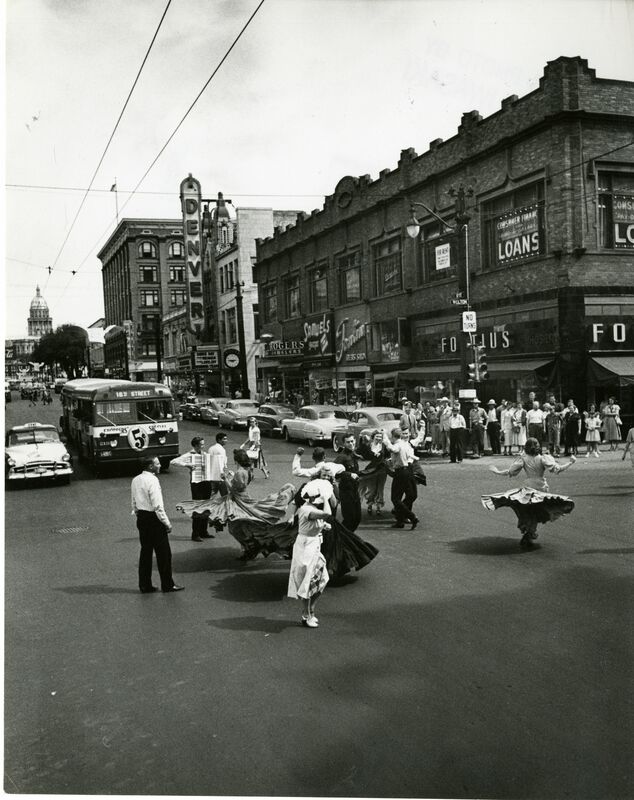 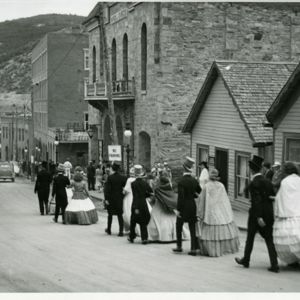 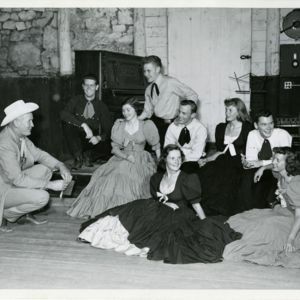 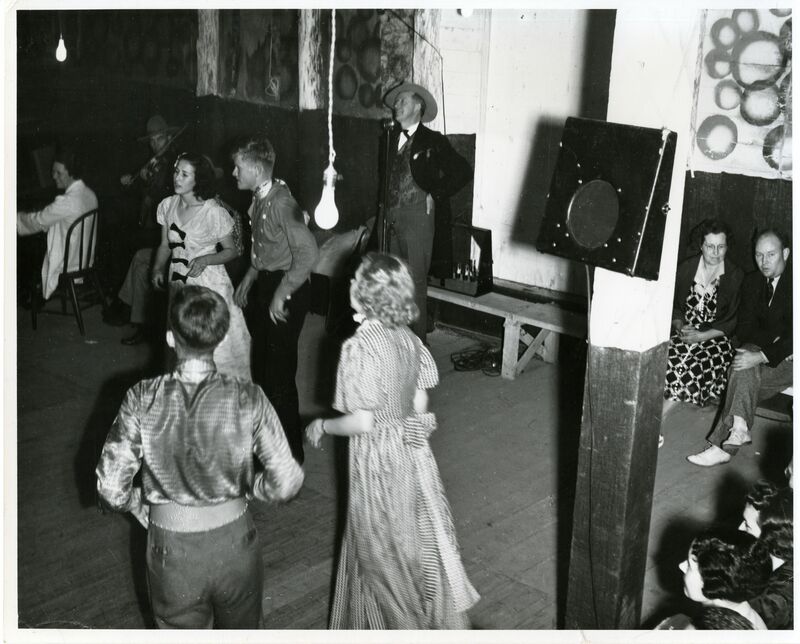 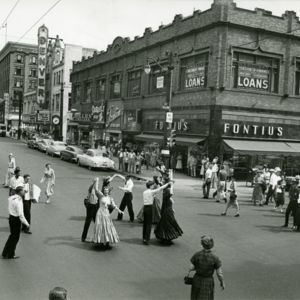 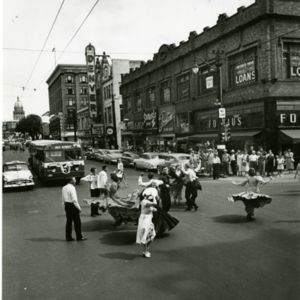 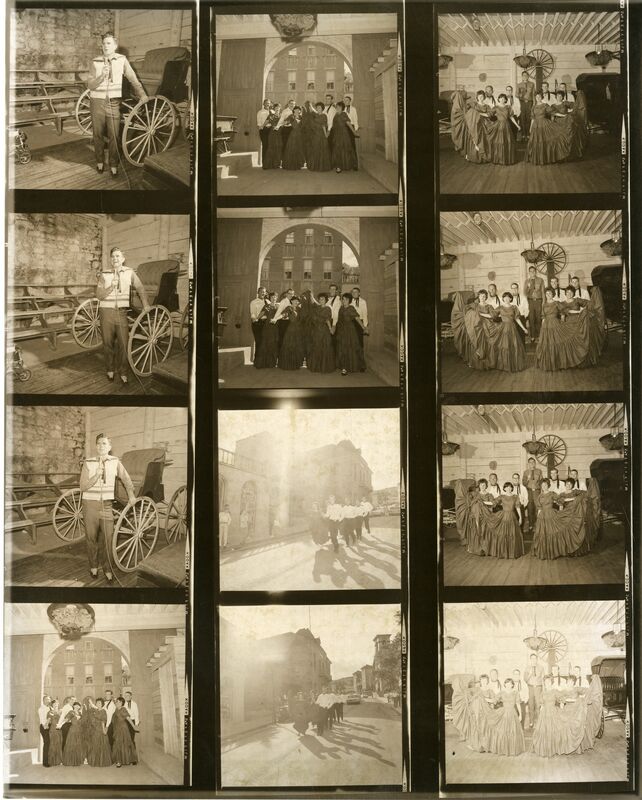 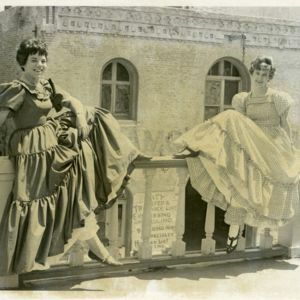 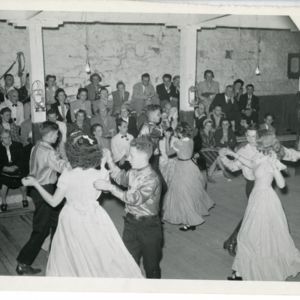 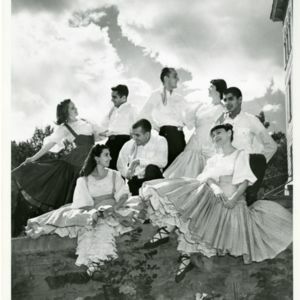 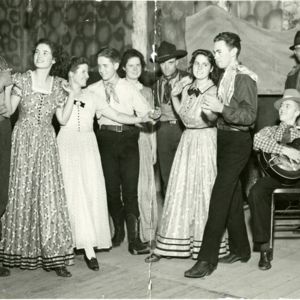 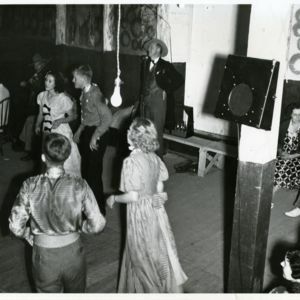 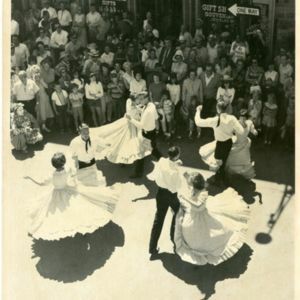 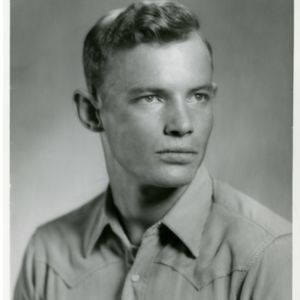 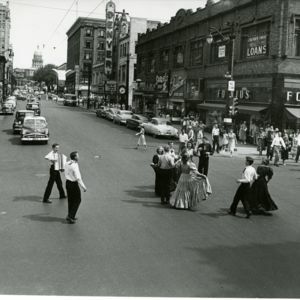 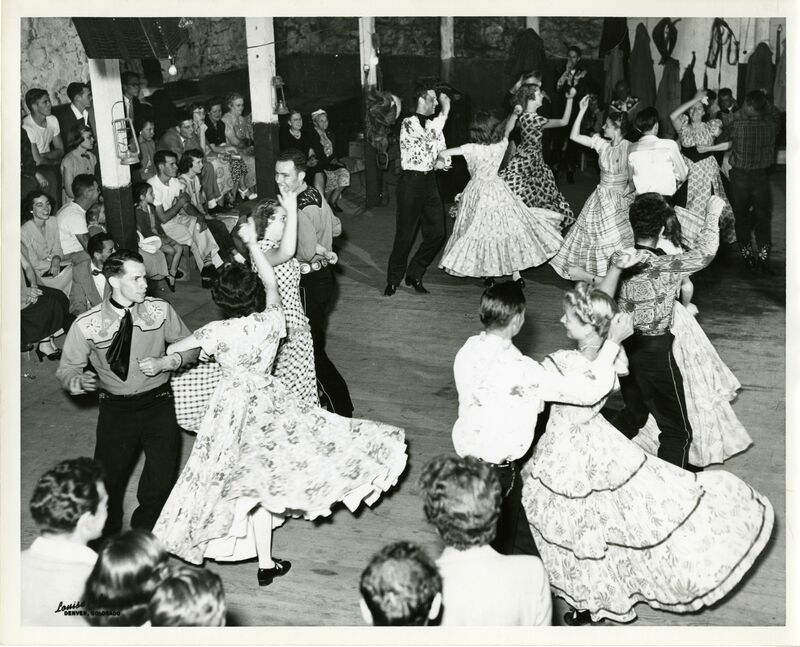 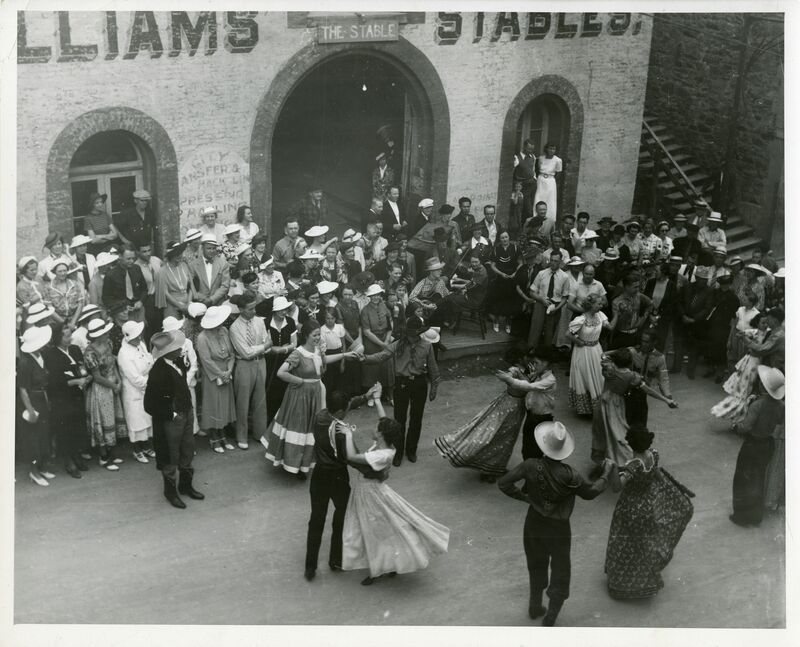 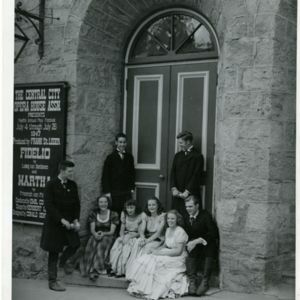 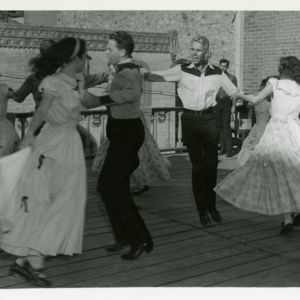 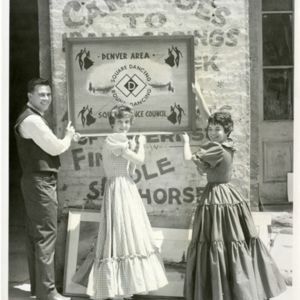 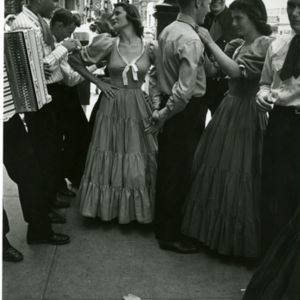 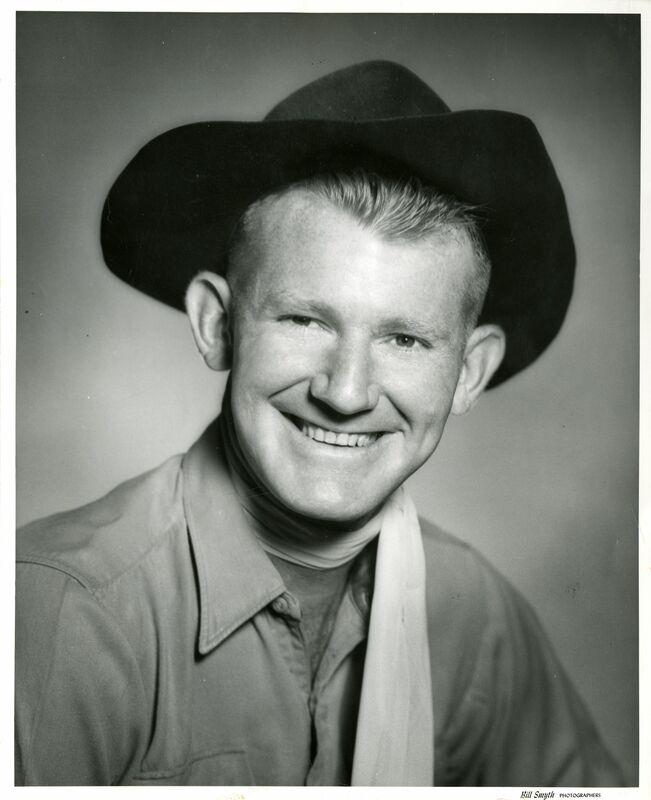 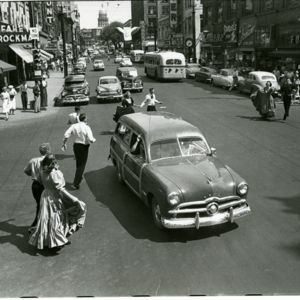 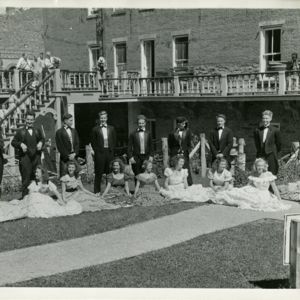 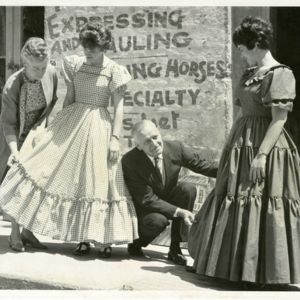 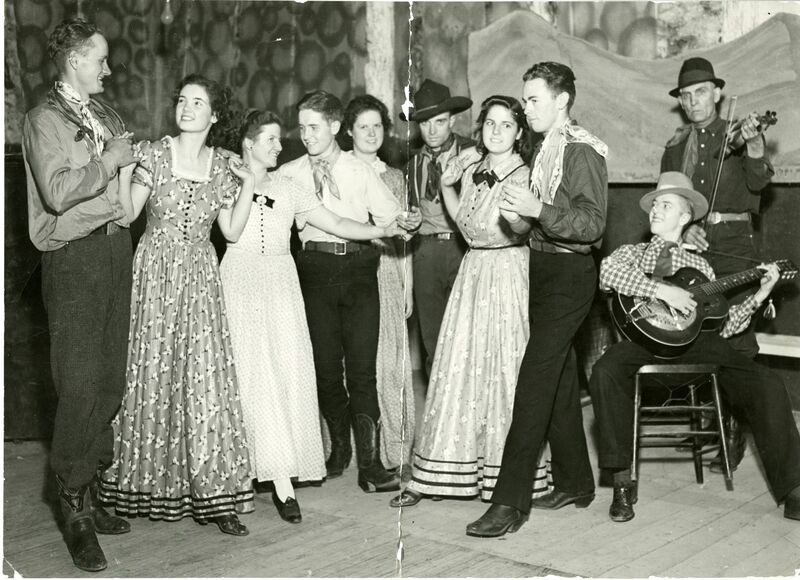 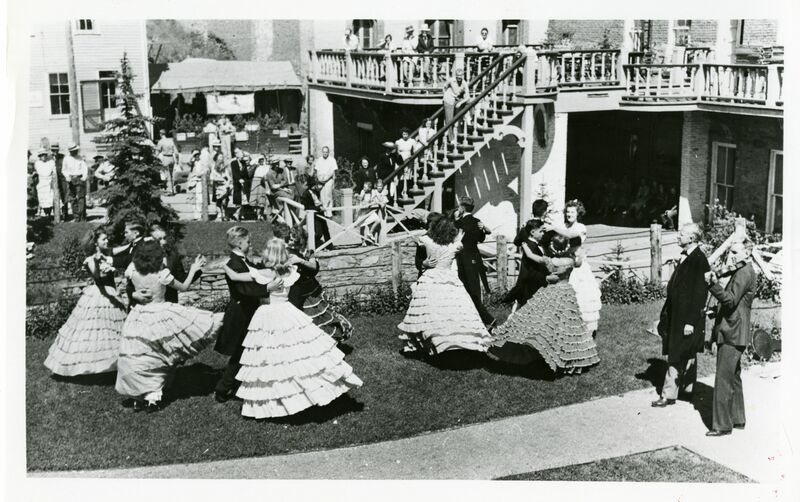 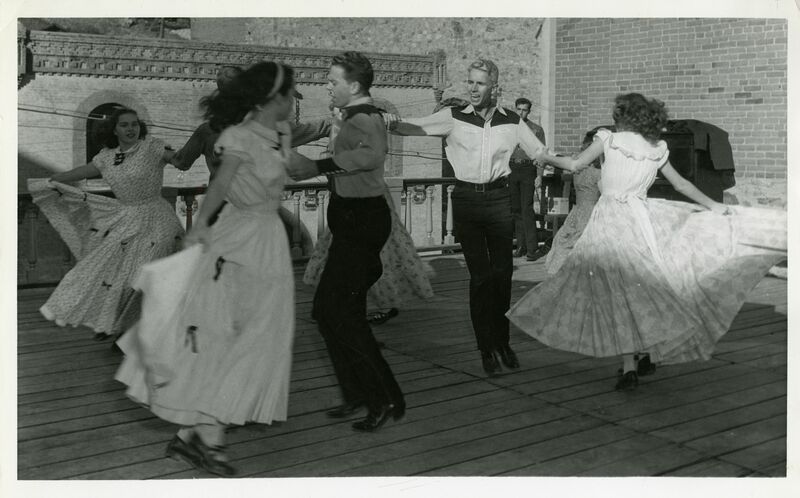 Central City Opera Association, “Central City - photographs,” Square Dance History Project, accessed April 24, 2019, http://squaredancehistory.com/items/show/1817.